The BBC, in response to the Government created funding crisis have decided to terminate BBC3 as a broadcast service. Since they seem to plan to keep releasing the programs via iplayer, I am not sure how it’ll save money. They will also have annoyed powerful enemies with friends in government by their plans to maintain BBC3 as an online, i.e. iplayer service. The Guardian in their review of the announcement look at the economics and repeat the market research that many of BBC3’s fans and consumers are online anyway. Let’s hope this is a deliberate strategy to meet the government’s cost reduction targets while defending their news reporting and establishing a right to publish digitally and on-line, since the latter policies are contentious within the politics of media regulation. If this is strategic commitment to online content distribution by the BBC then there is potential massive public upside. Sadly the BBC have been walking away from their on-line customers, to some extent bullied by their private sector competitors echoed by this current Government. 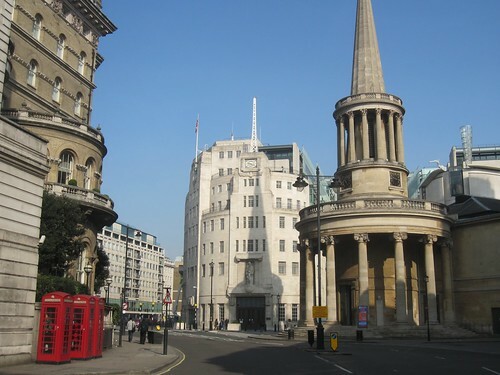 The BBC’s competitors have been using their political power to attempt to limit the BBC’s ability to “compete” with them. They can’t compete with free, or in the case of the BBC, already paid for. They argued that if the BBC, subsidised by the tax payer placed their content online, forever, then they wouldn’t be able to make money distributing content over their satellite or cable networks. It maybe true but as a licence fee payer I care because? It’s one of the reasons why the BBC is restricted to only allowing catchup for seven days, a restriction compounded by the decision to remove the iplayer’s series download feature, claiming it was a poorly used feature. Since they were performing a major technology remediation it’s possible that it was underused because the technology let it down , but it’s a feature that their competitors and carriers seem to be able to offer quite easily. This “compromise” means we massively restrict our access to our history and culture since it is the BBC that records it. To me, the most egregious assault to access to history is that the Harold Wilson retrospective, including his 1975 conference speech is no longer available on the iplayer site and pretty hard to find using search engines . Our history becomes enclosed, secret, unavailable and mis-understood. The proposed savings seem to be in production costs; they don’t need to fill a schedule, and maybe the payments the BBC makes to SKY to carry their content. They might be able to save a channels worth of fees unless the Guardian are right and they plan to launch a BBC1 + 1, an idea of stunning stupidity. The vast majority of people who can’t make an appointment with their TV to watch a program, firstly, won’t find an hour’s grace any use and secondly have multiple ways of legally acquiring BBC content especially for the purposes of time shifting and many more which the law prohibits but most would consider reasonable given that people have paid the licence fee. Legally, there is obviously Skyplus, iplayer and itunes.